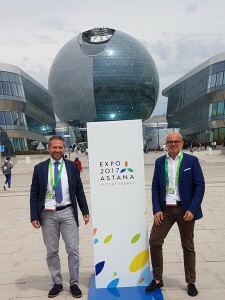 Astana Kazakhstan: in the Italian Hall of Expo 2017 – Future Energy in Kazakhstan, a presentation was held by ARTI (Regional Agency for Technology and Innovation) for the Region of Apulia, as part of the European Research Project on Hydrogen, INGRID. 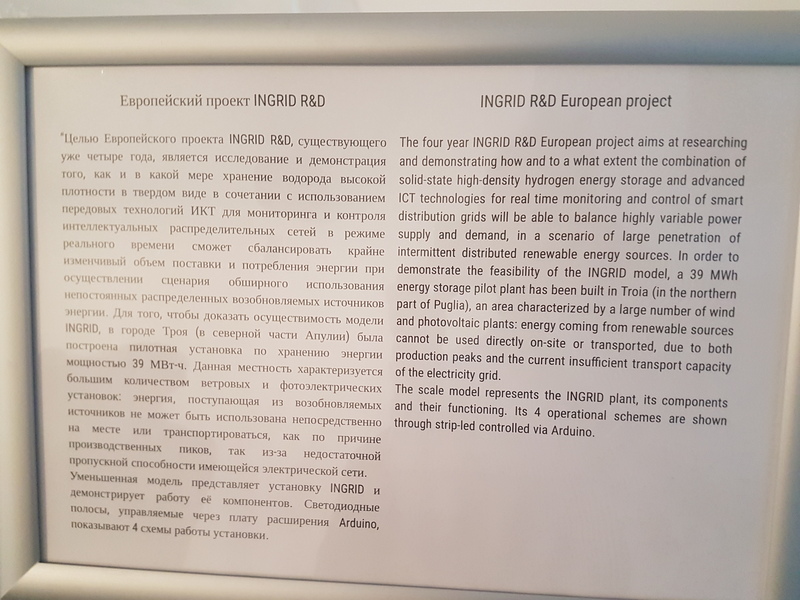 BFP was a member of the European research consortium, responsible for the engineering and construction of the test plant INGRID in Troia (FG) in Italy. 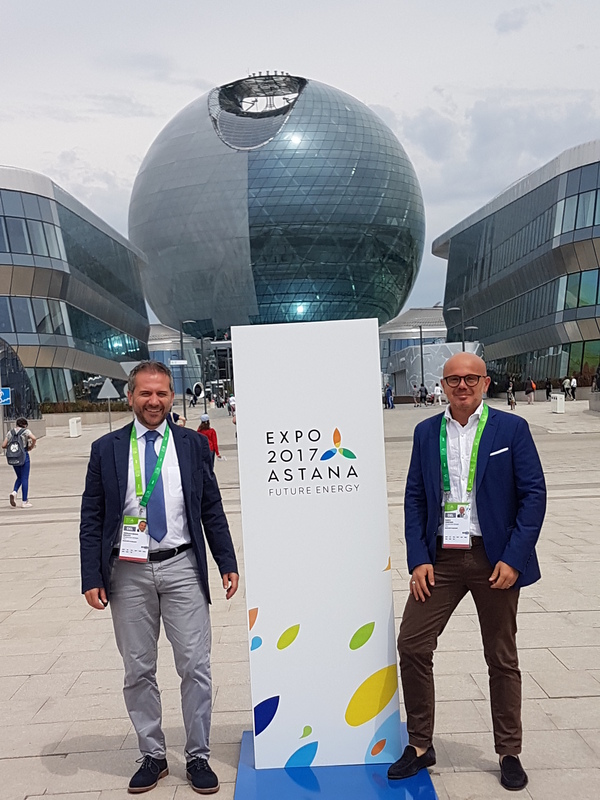 The EXPO 2017 conference in Kazakhstan, which attracted numerous visitors from Apulia specialised on the theme of sustainable energy, enjoyed a large professional audience from a range of different countries. 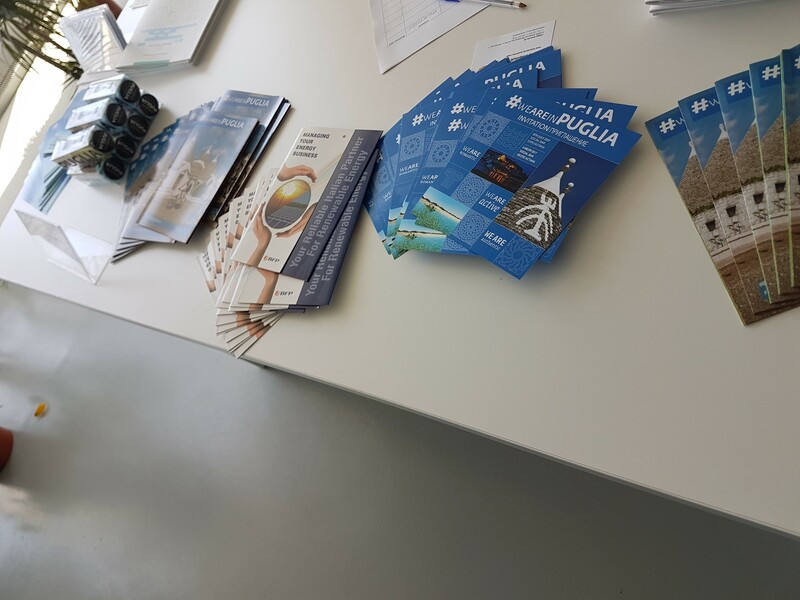 Gianluca Biscotti and Danilo Pomponio, founders and managing directors of BFP, also participated in the conference. 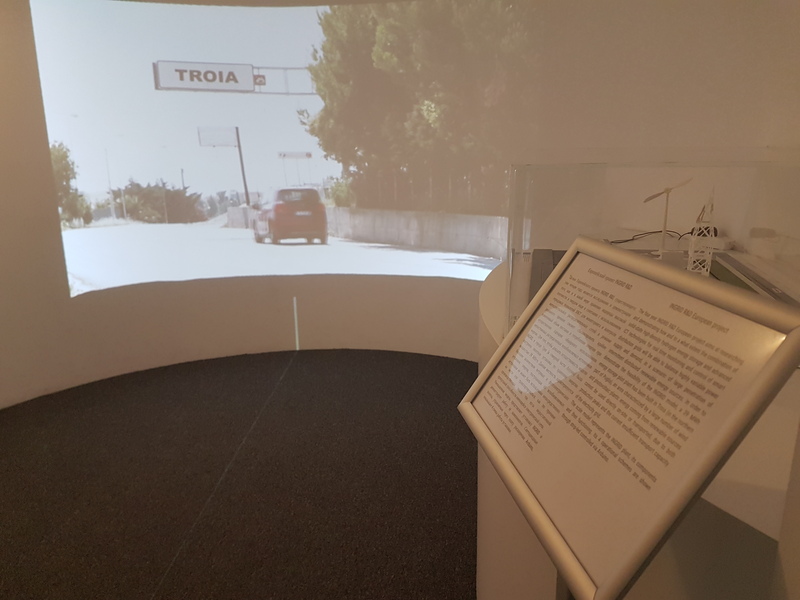 Through a video presentation, a model and explanation in Russian, the INGRID project was subsequently “installed” in the area open to visitors of the Italian Hall. 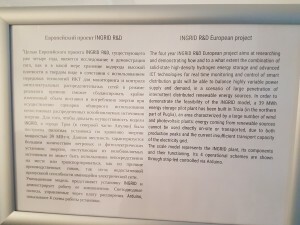 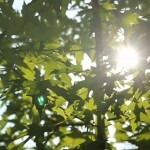 Visit the INGRID website for more details on the project for which BFP was the engineering partner.